One of the areas where emotional intelligence is helpful is telling the truth. I know that telling the truth is pretty simple, right? Well, not necessarily. Consider the case of the Florida police chief who was recently fired. He had grown tired of looking around the members of his force and seeing a bunch of overweight individuals. So he sent a memo to the force calling them Jelly Bellies and telling why it would be good for them to get in shape. As a result, the team morale sagged and the police chief was sacked. Clearly, I am an armchair quarterback to this whole episode but it does make the point that telling the truth is rarely simple. I think the police chief had the right message – it would be healthier and better for the force if the members got in shape and stayed in shape. He thought he was doing the right thing to help the team. But the way he delivered his message was not effective in helping him to reach his goal. 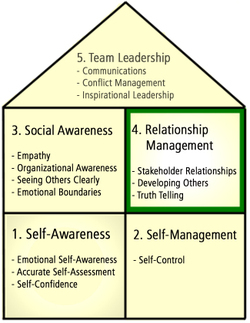 In the Emotional Intelligence Framework for Project Managers, I include Truth Telling as one of the competencies of Relationship Management. I believe that telling the truth, in an appropriate way, is what leads us into deeper relationships with others. Here are seven techniques we can use as leaders and project managers to tell the truth to others. We all have reactions to things that others do and say. It is entirely appropriate to provide your reaction, especially if you are asked. For example, if your boss went overboard with criticism of a team member you could say “my reaction was that you probably didn’t need to be as harsh to get your point across. I think you were scared and operating out of fear”. Saying no is something that many of us struggle with. After all, when we are asked to do something, most of us like to say yes. For some of us, we say yes to show that we are helpful and competent. For others, we say yes to be liked or to be valued. As a result, we may say yes or agree to things that we really should say no to. How many of us have ended up taking home extra work and even disrupting personal plans because we were unwilling to say no? How many of us, when asked, find it impossible to say no when it is necessary or when it will serve us the most? Later when we are asked about it, we are likely to say something like, “I couldn’t say no”. For some of us, saying no is a muscle we simply have not practiced using. We tend to think yes first without thinking about it then later we regret having responded that way. We try not to offend or disappoint without realizing that by saying no in the first place, we are less likely to disappoint others. When we cannot say no, we set ourselves up in a couple of ways. First, we cannot honestly say yes to anything. If we never say no, we always say yes. Our yes might actually be a “yes for now but I am going turn it into a no later”. We may say yes but in reality never intend to follow through and deliver whatever it was we agreed to in that moment. We will somehow sabotage that yes and ultimately make it a no. The second way we set ourselves up is by feeling like the victim. We may say yes now only to be able to resent others and make them pay later. Think about situations where you or someone you know volunteered to do something and then complained and showed resentment afterward. This may be a recurrent pattern in your life or their life. Some people volunteer and then find themselves stewing about others who did not volunteer. As a project manager, saying yes too much can damage our careers. We cannot always say yes to additional work, change requests, vacation requests, changes in responsibilities, or requests for individuals to be promoted or take on larger roles on the project. We need to know when to say no. If we don’t protect ourselves and our team by saying no, we will alienate our team and perhaps even cause them to leave the project. I am not suggesting that we always say no, rather, we need to be able to say no and to say yes with honesty and integrity. We need to remember that we have a choice and that we should exercise that choice. Saying yes when we don’t mean it can be far more damaging than saying no when we need to. A very helpful technique for relationship-building is to state what we like or dislike. You might say, “I like when you get your deliverables done on time” as a way to encourage your team members. A higher risk version is when you say “I didn’t like when you made that disparaging comment about Bob”. That type of communication is clear and to the point. Another example of stating what you like is when you have a group trying to make a decision. Let’s say a group of 6 are trying to decide where to go for lunch. If someone suggested that you go to a Chinese restaurant, and you really did not like Chinese food, it would be responsible to say something like “I don’t like Chinese food”. That is stating what you like or dislike. What makes it hard is if we don’t want to appear selfish, we don’t want to offend others, or for any other reason we withhold. In that case, we don’t say how we feel about the Chinese food and we wind up eating at the Chinese restaurant. We feel miserable, angry, and resentful of the others in the group. The reality is that we could have avoided that resentment by speaking up about how we felt. Closely related to the concept of likes and dislikes is the concept of stating our wants and needs. When we state in a clear and direct way what we want or need, we greatly increase our chances of getting it. This simple sounding technique may often prove difficult to do in practice. Many of us learned to manipulate instead of asking for things directly. We might say something manipulative like “I knew you liked Chinese food so that is what I ordered” instead of the more truthful “I wanted Chinese food for lunch so that is what I ordered”. One of the most powerful phrases I learned to say in the context of a project was “I need you to do a favor for me”. Early in my career, it would have felt very vulnerable for me to say that. As I grew as a project manager and learned more about emotional intelligence, I found that asking others directly for what I needed was liberating. I could be clear and clean in my communications by just stating what it was that I wanted or needed from others. A belief or a judgment is something we feel about others based on our own values. These beliefs or judgments are based on what we think about the feelings or motivations of others. It is the rough equivalent of saying, “If I were you in this situation, I would be feeling angry”. It sounds like “my judgment is that you are angry”. As an example, consider when you have a team member who habitually arrives late and leaves early. While they have been productive for you and for the team, lately they seem to have other priorities. You might say “my judgment is that you aren’t giving the team your best effort”. That is a clear communication which can start a healthy discussion about expectations. You might follow it up with “I want you to arrive by 8:00 every day” or some other request which indicates the specific behavior you expect from them. The point of getting clear is that it frees us to move on and focus on other things. Like having a clean windshield, we no longer have issues that bog us down. We don’t have to carry any of the emotional baggage of issues or conflict; we can voice them and forget them. I recently worked for a manager who was great about getting clear and then forgetting about it. In one memorable occasion, he sharply criticized me for an email that I had sent to a wide distribution list. My email was poorly written and sounded critical of him. He told me that he didn’t like the email and he wanted me to limit the distribution list on emails that were critical of him. Later, when I called him to apologize about my email, he was completely over it. He had made his point and then he moved on and let it go. He felt “clear” and he let me know that the issue wasn’t going to let it affect our relationship. A closely related concept to getting clear is the idea of keeping short accounts. To keep short accounts means to not let small issues build up into larger ones. This is a trap that many of us fall into. How do you respond in situations where there are small hurts or issues? Do you address each one? We might feel like it is better to simply let them go or ignore them. We may also feel that we are showing “grace” if we overlook small hurts or issues. The problem with that approach is that the issues tend to build into larger issues. We need to get clear on those small issues on a regular basis so that we don’t end up with overwhelming resentment or anger. The benefit of keeping shorting accounts is that we can get a more objective view of what happened. Often we will find when clearing up small issues on a regular basis, that we didn’t have the complete picture, others were unaware, or that we actually contributed to the problem. Rarely have I experienced these small hurts as being intentional on the part of the other person. Sometimes it is possible that we caused it. What about being on the receiving end of someone who has not kept short accounts? Have you ever had a project team member or other stakeholder blow up and tell you about everything you have done wrong in the last year? Have you been surprised with the level of anger expressed over seemingly small issues or perceived slights? This is the case of holding in those hurts and resentments. Keeping short accounts as a PM means that we don’t let resentments, wounds or anger build over time. If we have an issue, we address it quickly. Project managers need to lead in relationships and encourage others to keep short accounts with us. Try these seven techniques and see if they help you to tell the truth and deepen your relationships. Let me know if they keep you from getting fired. If you have other techniques that help you tell the truth, I invite you to share them. Anthony, I think that this is a very useful framework. It certainly gave me some pertinent reminders. Your manager who was able to get clear swiftly possesses a great trait. Good for his job and good for his health.